When physical differences in appearance between the OE and replacement components raise concerns, Gates’ technical team can offer some assistance. Here, the company provides an example. Technicians in several parts of the UK have been concerned when the water pumps coming off vehicles looked different to those inside the Gates PowerGrip Kit Plus Water Pump boxes. Naturally, their first thought is usually to call for additional technical support. Was it a fault in the manufacturing process? Can they still match OE performance? 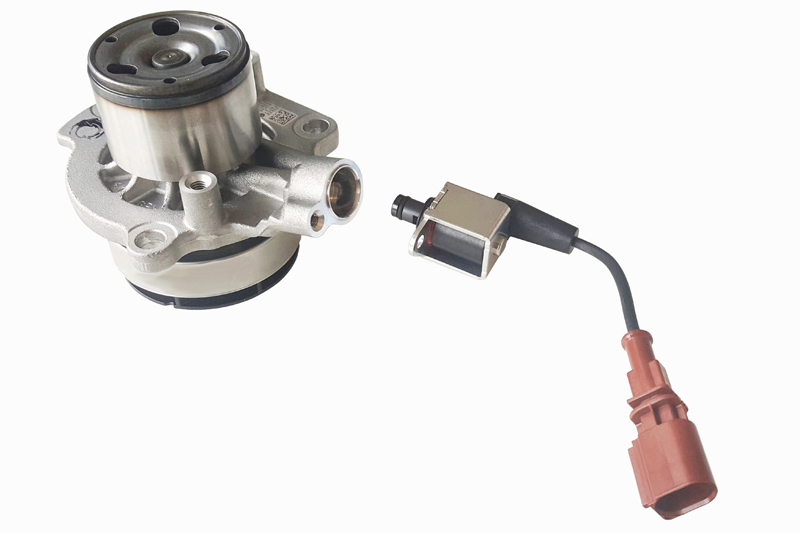 The OE water pump features a solenoid connector or Cylinder Head Cooling Valve (N489) that connects through a circular aperture. At start-up, when the engine is cold, it controls a modulating piston that drives a shroud, or steel band, over the impeller. This prevents water circulation. This modulating piston is controlled by a return channel or waterway. It’s the small hole on the right-hand side of the circular aperture that receives the Cylinder Head Cooling Valve. Under pressure, the coolant drives the piston. There are many different reasons why some parts look different from the parts taken from a vehicle. For example, it might be that there is more than one OE parts supplier. That might mean there is more than one design – and thus more than one installation procedure. Occasionally, vehicle manufacturers introduce amendments to the original design as part of a drive system upgrade. This might also include a change to the recommended installation procedure. Gates’Technical Hotline callers were reassured that the Gates product is an alternative aftermarket design that operates in a different way. There is no need for a shroud. Therefore, there is no piston. Consequently, the large central hole inside the circular aperture – which receives the solenoid connector – is blanked off. The return channel is not required so there is no small hole on the right-hand side. This eliminates potential failures caused by shroud seizure. As a designer and manufacturer of components for OE drive systems, Gates is aware of the quality standards required. 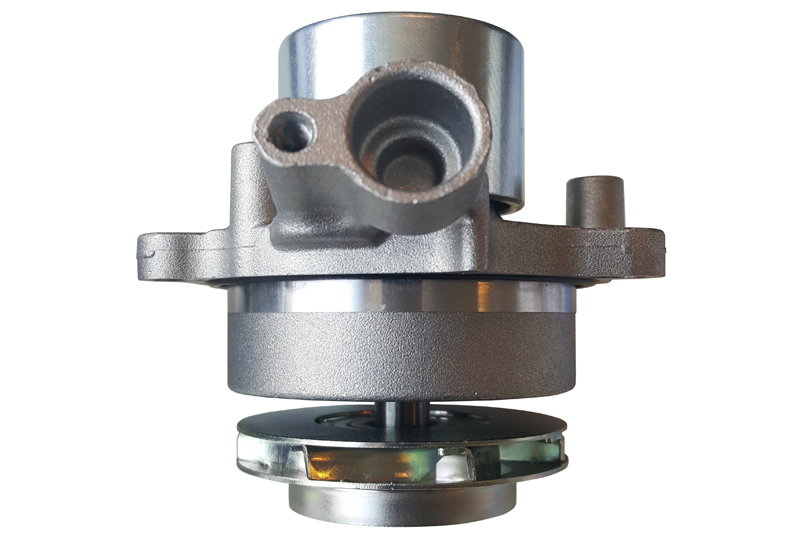 Whether for aftermarket or OE, all parts are manufactured to the same rigorous standards. They are designed to match or exceed OE performance. Moreover, as all parts inside a Gates PowerGrip Kit are covered by a single Gates warranty, there is peace of mind in the event of any comebacks. The procedure for fitting the water pump as part of the Gates PowerGrip kit is unchanged. Instructions are included with the box. 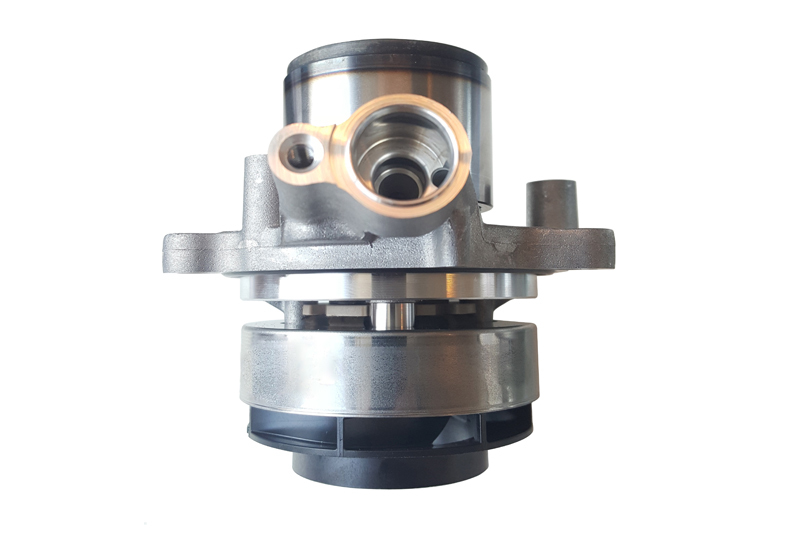 However, installers are reminded that it is important to ensure that the Cylinder Head Cooling Valve is re-attached to the water pump. The engine management system must be able to recognise its presence. Gates always recommends a system flush with every water pump change. Sealant should only be used if specifically stated by the manufacturer. Whenever technical issues become known, Gates circulates a Tech Tip to highlight the solution to the problem. Tech Tip 019 covers this particular VAG case. Tech Tips are distributed via a free emailing service. Professional technicians can sign up to receive them at www.gatestechzone.com. There, they will also find further online technical support as well as various installation guidelines and videos, as well as access to earlier Tech Tips.